Desire 1 / 21 was featured in the TV ☆ Heisei 20 year Okinawa Prefecture superior products award! The brown sugar of the texture wet like totally soft candy. □　I take in きなこが sweetness! 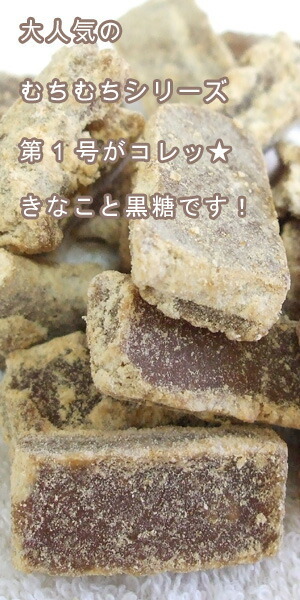 It is not the brown sugar which このむちむちきなこは is only generous in. Sugar-free のきなこが is moderate; for an accent. 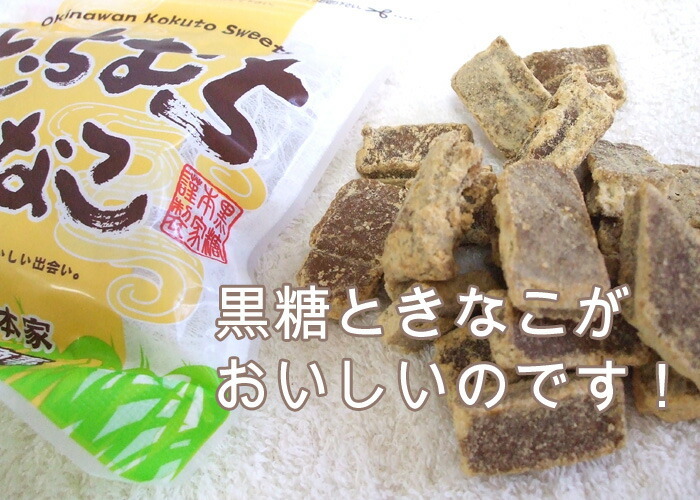 It is the brown sugar of the new sense to suggest むちむちきなこは for a man with many fans, a Japanese sweet. □　Enjoy it by the series! 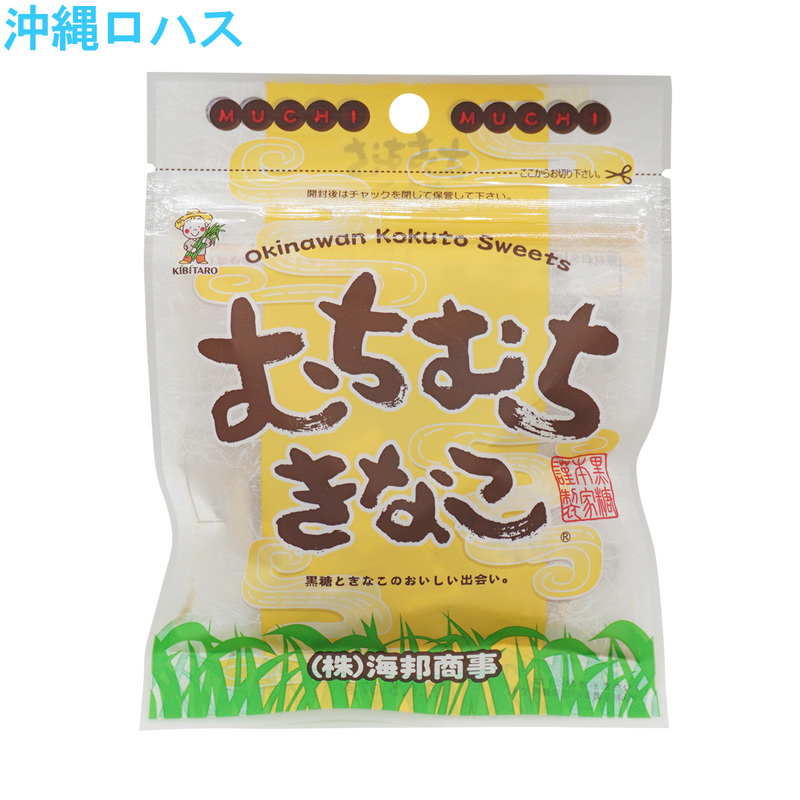 I use the thing of the brown sugar head family which the brown sugar becoming the むちむちきなこの raw materials is particular about sugar cane having just finished squeezing it from Okinawa and made. The popular small sack series of the brown sugar head family is this place! I can send it out by a むちむちきなこは email service. Look at this before an order by all means. ▼　It was not possible for the security that there was a great many it a visitor of the hope by email service delivery, but, in addition, it came to be usually possible for email service shipment for mail delivery. ▼　It is email service delivery (postage 210 yen) or can choose normal mail delivery (postage 630 yen), either. ▼　There will not be the email service for the comfort tomorrow. ▼　The email service originally becomes to 2 centimeters of thickness, but, as for this article, thickness after the packing may not enter the post by the email service of the post-mailing because it becomes 4 centimeters. ▼　In the case of email service delivery, the C.O.D. is not available for a payment method. I am not available on the date and time of sending it either. Even if a product has it in the middle of delivery by any chance what it is, for an email service, security does not work. I return goods and cannot change it. ▼　Look at this before an order by all means. The impression that the manager ate! 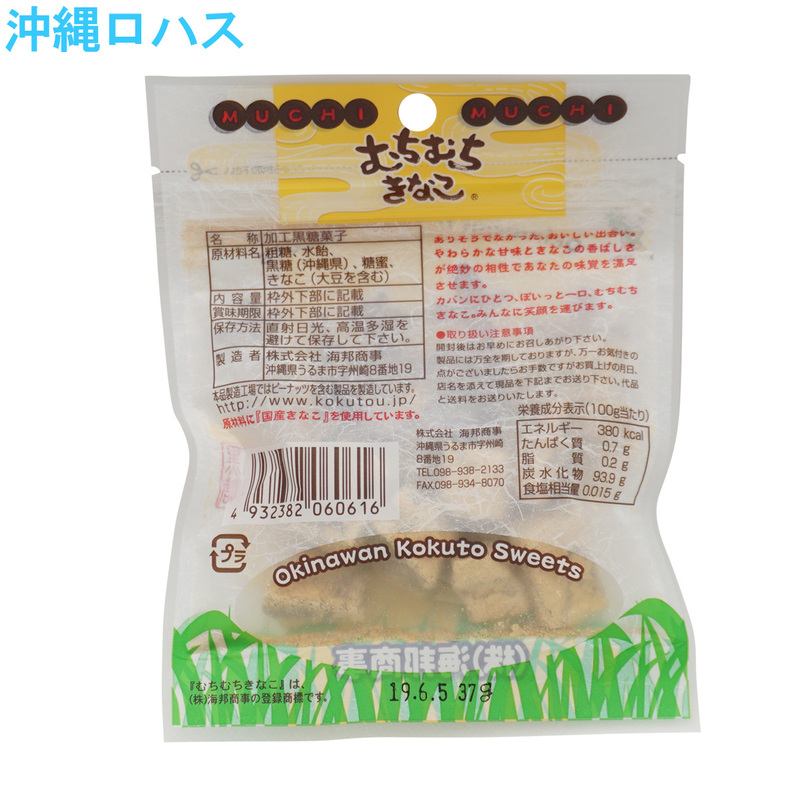 ▼It produces the products including the peanut in the むちむちきなこの manufacturing facility. 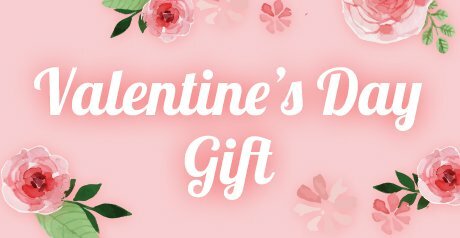 ▼　Please have it after opening a letter early. Preservation method I avoid direct rays of the sun, high temperature and humidity, and, please save it. Manufacturer Kaiho business affairs Co., Ltd.
Advertisement responsibility for the contents of an article M H Corporation Co., Ltd.
Maker (production) Kaiho business affairs Co., Ltd.
A product of this place is a product targeted for international bargain delivery. 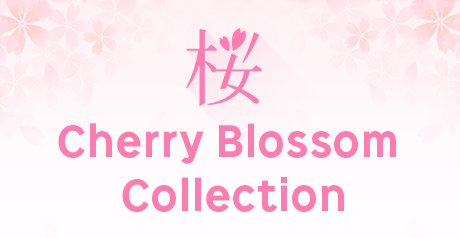 When you receive the item at hand, immediately, what was different from the order is either not sent, please check whether or not the damage to such. For sent to the calling to foreign countries, returned goods exchange is not accepted at all.